Customers are the bread and butter of the eCommerce industry and taking care of your customers’ needs is the most important aspect of your online business. Customers are constantly scouring the Internet for the best deal, and only 27% of customers are repeat customers (Crazy Egg). The dictionary defines loyalty as a strong feeling of allegiance or adherence for someone or something. Brand loyalty is an aspect of a business that can only be established over years of competitive determination and reliability to the customers, and there are a number of factors to increase brand and customer loyalty. Utilizing your eCommerce platform to create loyalty memberships for your customers is the easiest way. 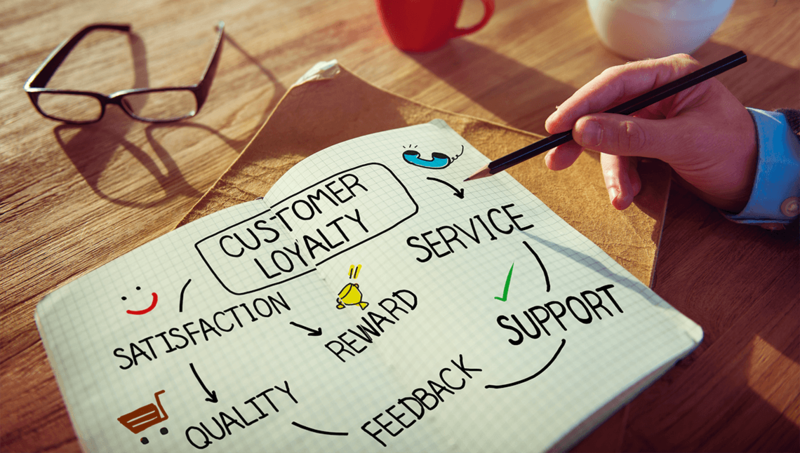 Here at SearchFit, we have some useful features to help foster more customer loyalty. Knowledge about all the things that are being done for your customers is one easy way to keep your customers interested in your product and feel they are taken care of. The majority of customers are completely unaware of the many great things that a company is doing for them. They either don’t have the time to keep up with what’s happening with your business or simply aren’t aware of the great things you are doing for them. With SearchFit’s customer loyalty program you will be able to foster a relationship with your customers and at the same time help contribute to your website’s community engagement. SearchFit allows you to easily manage and offer loyalty points for customers who sign up for a membership. With SearchFit’s customer loyalty program you can build marketing campaigns around loyalty points and build your customer relationships, or offer them as incentives to upsell customers and to encourage repeat purchases. Our software allows you to create and customize a tiered rewards system. You can reward members a percentage discount that they can earn while shopping on your website. Setting up SearchFit’s customer loyalty program for your shopping cart is quick and simple: you can create one or more rewards by enter a dollar or percentage amount you wish to give. You can create multiple rewards or tiered rewards to give different percentages based on the order amount. After the rewards are created they are automatically applied to every member. As store administrator you can also manually add rewards on a discretionary basis. As mentioned before in our blog post about email marketing, the rewards system can serve as an impetus to start an email marketing campaign. Marketing to existing customers is often more cost-effective and can have a higher return, as exiting customers tend to make larger purchases than new customers. When you contact your existing customers it is imperative to use personalization and information about your customer to make sure they feel remembered. Personalized communication and information with a client will keep a customer coming back to your business. The practice of personalization, which we explained in detail in a previous post, is dynamically tailoring information and or experience to the wants and needs of each individual user. Personalization in business is sometimes referred to as one to one marketing and it is specifically tailored to target each individual. According to Experian, personalized marketing emails receive 29% higher open rates and 41 % higher click-through rates. Furthermore, businesses that personalize web experiences see generally a 19% increase in sales according to Marketing Profs. Over 70% of businesses don’t personalize their marketing emails. Personalization can set your business apart from the rest and really create loyal customers. Whether you are using a membership rewards system to keep your customers loyal or making sure to use a customer’s first and last name. It is important to make a concerted effort in regard to your existing customer base to keep your customers coming back to your store. Not that there aren’t other methods but sincerity and being genuine in your companies’ behavior is what customers will notice and take note in terms of where they spend their money.